Are Wild Strawberries taking over? 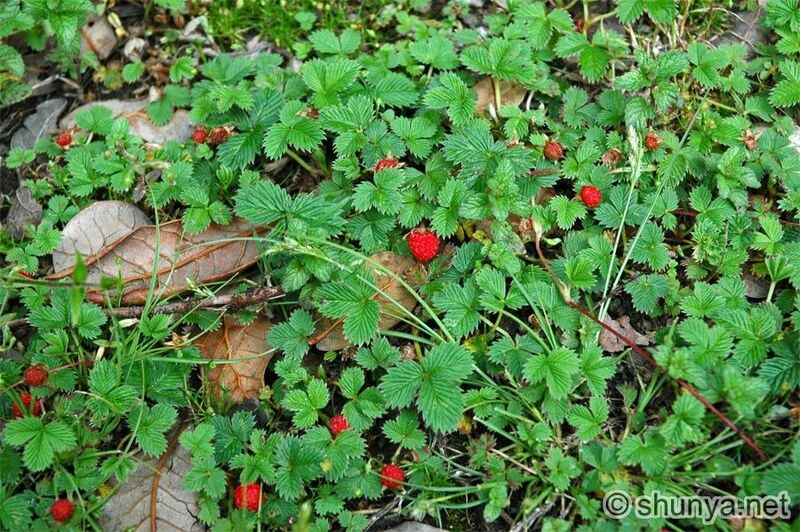 Are you having trouble with Wild Strawberries? Wild strawberries are relatives of the strawberries that we eat. They have much smaller fruits (also edible), smaller leaves, a lower growth habit and amazing spreading ability via runners (technically “stolons”). Wild strawberries are also perennial, which means they survive winter and get back to the business of spreading the following season. New ones start from seed, typically brought in by birds or other animals that have eaten the fruits. Most broad-leaf weed-killers do a good job of knocking out stands of wild strawberries. These are ones that kill broad-leaf weeds without harming grass. The most effective on wild strawberries are ones that contain three different herbicides, such as Trimec, which contains 2,4-D, MCPP and dicamba. These also work best when the strawberries are actively growing. Two good times: mid-spring and early fall. Now is too hot, so you’ll get better results by waiting until September. Even then, it often takes a couple of applications to kill everything. Obviously, that’s a chemical approach. Corn gluten meal is an organic weed preventer that can discourage sprouting of new wild strawberries, but there’s nothing I know of non-chemical that can kill existing plants without harming the grass around them. Vinegar-based herbicides and even homemade vinegar/salt combinations can at least burn the top growth of wild strawberries, but they’ll also burn the grass. There’s a good chance the strawberries will regrow. Some people even use flame weeders, which are propane torches that burn weeds. But again, they’ll take out the grass along with the weeds. If you’re OK with one of those organic kill-all approaches, just reseed bare patches with new grass seed and do as many good cultural things as you can to encourage a thick stand of turf grass. In the long run, that’s your best bet against any weed infestation. A “hybrid” approach is to bite the bullet once or twice here and kill off the wild strawberries and anything else becoming a big problem with a chemical herbicide. Then go back to focusing on over-seeding, cutting high, keeping the soil fertilizer optimal and other good cultural, grass-benefiting steps. If you want more tips, call the experts at F. A. Hobson Landscaping at 410-739-6800. Let us show you what we can do for your outdoor home too!